Eastern Australia’s Blue Mountains, not far from Sydney, are well worth a visit at any time of the year. 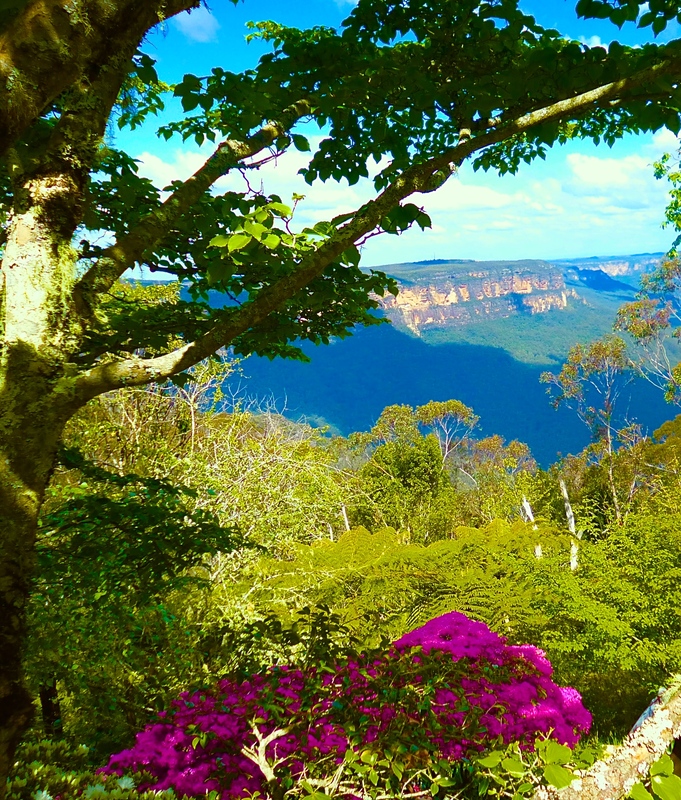 But, with the arrival of warmer weather, the gardens and colours of the Blue Mountains make the area an ideal destination for a getaway. The annual Leura Garden Festival will be held from October 1-9 – and we wholeheartedly recommend a visit. We made the trip in past years and the scenery was nothing short of breathtaking. 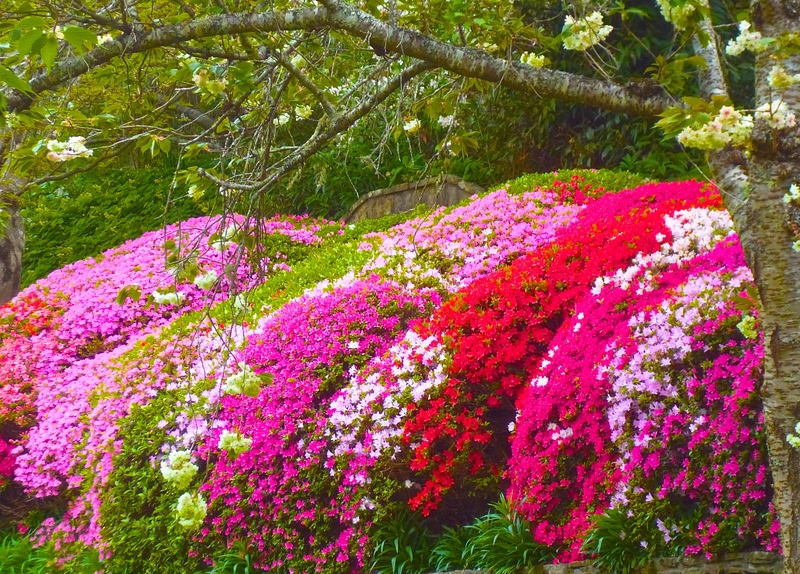 The Leura gardens are a heady mix of carefully tended and colourful cool climate flowers, annuals and shrubs scattered amongst the rugged natural scenery of the Blue Mountains, with its gum trees, deep canyons and other native vegetation. This contrast of garden and nature; of man-made beauty and untamed wilderness makes the Leura Garden Festival special. One minute, the visitor can wander through beautiful gardens planted with brightly-coloured azaleas; tulips, lavender, rhododendron, camellias, magnolia and waratah. You can meander over Japanese stone bridges, past rock pools, deep wells, hedges and stone paths. And then, without warning, the foliage will open to reveal the escarpment of the Blue Mountains in its natural starkness, with tall cliffs, shadowed valleys and the gums that give the area its blue hue. In the foreground, the awesome mountains are interspersed with cherry, liquidambar, maple, golden elm, birch, conifer and many other trees planted over the years. We finished our visit at Leura’s Everglades, where ponds lined with cherry trees, almost hidden pathways and garden walls led us to the fern-fringed Grotto. 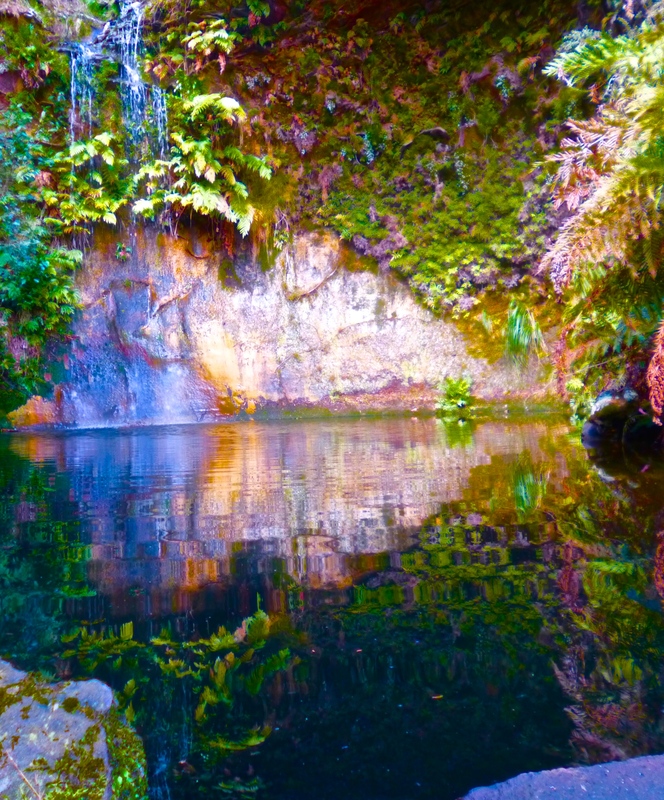 Here, the colours of surrounding foliage was reflected in the mirror-like pool. Walking to the Grotto in the sunshine of mid-afternoon, it was immediately obvious why this particular garden delights about 25,000 visitors each year. The Blue Mountains are located one Australia’s east coast, about an hour-and-a-half from Sydney. They can be be reached by road and rail.